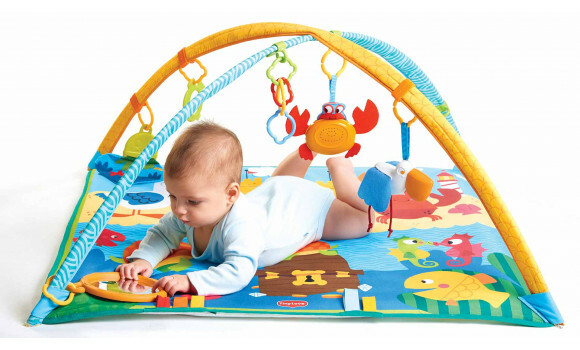 Move the toys within baby's reach and allow him to explore their smiling expressions and take his first batting attempts. 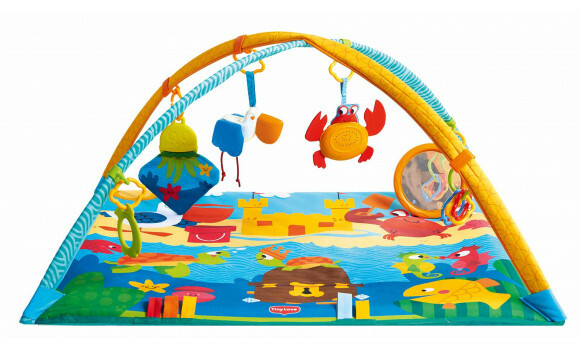 Use the mat's fun features to engage baby and help extend tummy time, playing with the electronic crab or crinkly jellyfish. 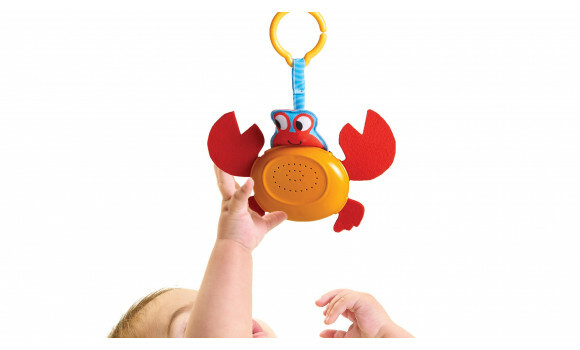 Let baby enjoy the stimulating features of the baby-activated electronic crab toy and learn about cause and effect through exploration. 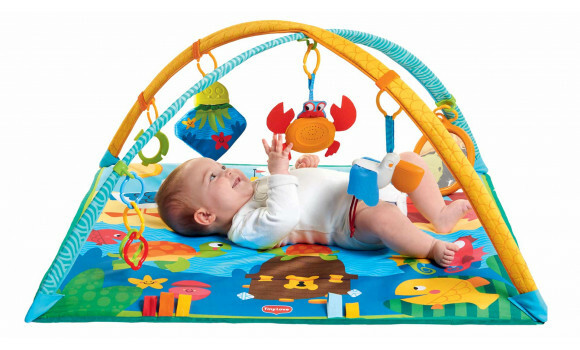 Enjoy as an overhead baby gym. 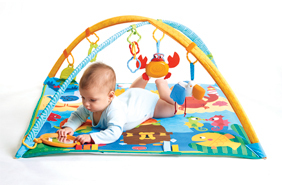 The spacious play area let’s babies stretch their bodies, experiment with movement and roll over, while the fun mirror and numerous aquatic toys stimulate and intrigue baby, thereby helping extend tummy time and strengthen shoulder and neck muscles. 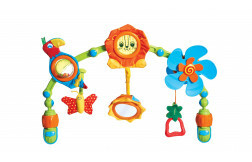 The Gymini supports baby’s fine motor skills. 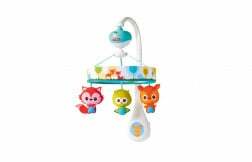 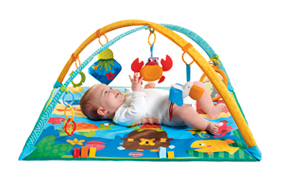 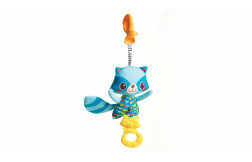 Eye-hand coordination is encouraged first by baby’s batting experiments while lying down and later by playing with the Gymini's musical crab toy and its other engaging features. 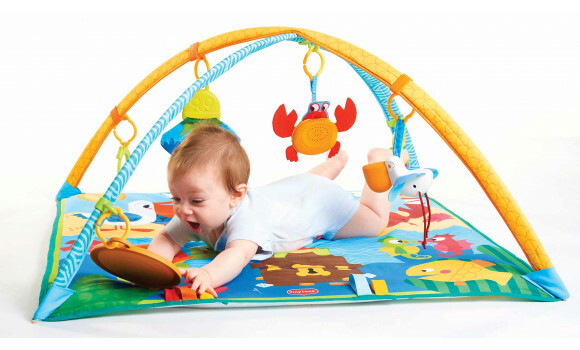 The product stimulates babies’ senses with bright colors and distinct shapes (sight); music, rattles, and crinkly noises; and a variety of textures and materials (touch). 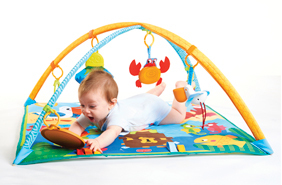 The Gymini grows with babies and helps them grasp the idea of object permanence by allowing exploration of the product from various angles. 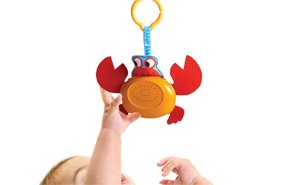 The numerous features and interactive activities, particularly the musical crab toy, help baby comprehend the idea of cause and effect.